The Tubes will be performing at KAABOO DEL MAR/ San Diego plus I will be part of the 2017 Artwork Lineup September 15 – 17, 2017. If you want to be there you can get 10% off of 3-day HANG LOOSE (general admission) passes. This code will be valid for one week and expire on 11:59pm PST on Friday, May 18. Your unique promo code is: PRAIRIEP. 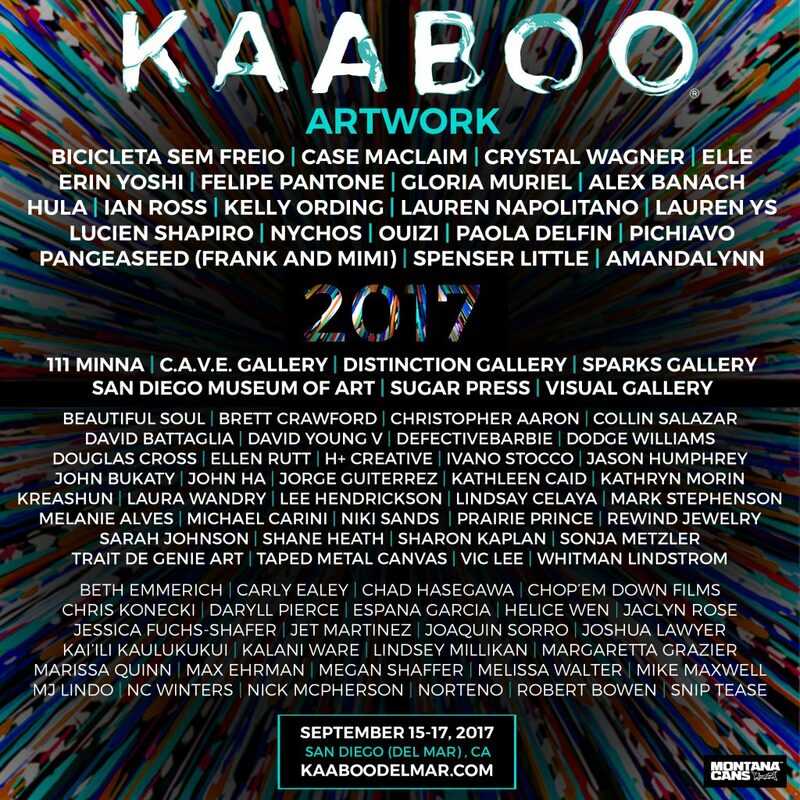 KAABOO is a contemporary art show with world-class music including Red Hot Chili Peppers, P!nk, Tom Petty & the Heartbreakers and tons more. The musical line up is pretty amazing. Check it out! KAABOO presents the 2017 ARTWORK Lineup from KAABOO Del Mar on Vimeo.